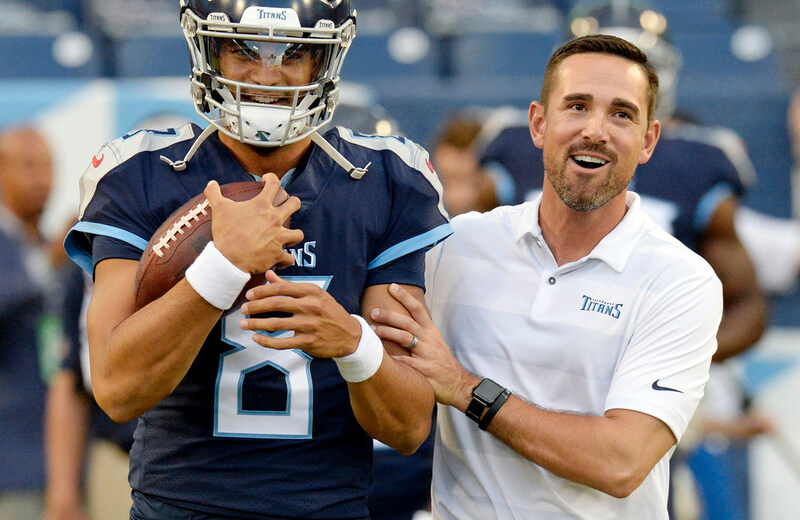 Matt LaFleur, 39, inherits a future Hall of Fame QB in Aaron Rodgers after starting his NFL career in Washington, where he worked with Kirk Cousins. *The Packers on Tuesday morning reportedly finalized a four-year deal with Matt LaFleur to be their next head coach. The well-traveled coach, most recently the offensive coordinator with the Titans for one season, will be in charge of resurrecting an offense that grew predictable and stale under Mike McCarthy. LaFleur, 39, inherits a future Hall of Fame QB in Aaron Rodgers (who at age 35 is just four years younger than him). Tennessee ranked just No. 27 points and No. 29 in passing yards last season with LaFleur calling plays, but he fits the profile of what teams are looking for in head coaches: young and offensive-minded. And it stands to reason that LaFleur also has quite a bit of admiration and respect for the Vikings quarterback. His first big break in the NFL came when he took a job as Washington’s QB coach in 2010. He stayed in that role for four seasons — he didn’t stay more than two years at any of his nine other career stops — and was there in 2012 when the Redskins drafted Robert Griffin III in the first round … and then Kirk Cousins in the fourth round. The pick and LaFleur’s comment proved prescient when RGIII’s career was derailed by injuries and Cousins stepped in as a capable starter before joining the Vikings in 2018. *No one play likely would have changed the overall outcome of Monday’s College Football Playoff title game, considering how Clemson dominated Alabama in a 44-16 victory. But, um, Alabama probably would have helped its cause had it not run a fake field goal on 4th-and-6 in which it tried to have its kicker serve as a lead blocker on a run up the middle — right into the teeth of Clemson’s defense. *Don’t look now (OK, you can look), but with three consecutive road victories the Wild is back in the top-8 of the Western Conference and would make the playoffs if the season ended today. The season, in fact, doesn’t end for a few months but with the Wild pulling into the exact midpoint at 21-17-3 things are looking a little better than they did a week ago. *The Wild plays the second game of a back-to-back tonight in Boston and got its most recent win 1-0 Monday over Montreal — a shutout for Devan Dubnyk of some significance.